Another example of libraries successfully synthesized by EDELRIS scientists! Using one-pot Petasis/Diels Alder cascade reaction developed by our creative academic partners from DTU - Technical University of Denmark we were able to produced 2188 new compounds as an addition to the European Lead Factory Library! 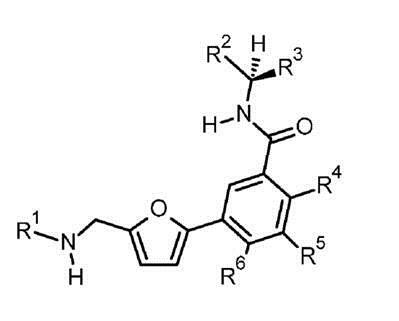 During our search for topically-active Caspase-1 inhibitors, we identified a novel class of potent inhibitors based on a 1,3,5-trisubstituted uracil motif equipped with an L-aspartate semi-aldehyde derived warhead. In the literature, the majority of Caspase-1 inhibitors possessing the same warhead have been designed and evaluated for oral administration as the ethyl acetal pro-drug form. For our topical program, the pro-drug acetal form was not fully hydrolysed in the skin and was unstable in many of our standard topical excipients, therefore, we were obliged to focus on the actual hemiacetal drug form of the molecule during our drug discovery program. Our work focuses on both the synthesis and achiral and chiral stability of the final drug molecules in topical excipients. The identification of high-quality starting points for drug discovery is an enduring challenge in medicinal chemistry. Yet, the chemical space explored in discovery programmes tends be limited by the narrow toolkit of robust methods that are exploited in discovery workflows. The European Lead Factory (ELF) was established in 2013 to boost early-stage drug discovery within Europe. In this Feature, we describe an exemplar partnership that has led to the addition of 21 119 distinctive screening compounds to the ELF Joint European Compound Library. The partnership could serve as a blueprint for the translation of innovative academic chemistry into discovery programmes. Squaramides as novel class I and IIB histone deacetylase inhibitors for topical treatment of cutaneous t-cell lymphoma. A new effective strategy for the synthesis of sp3-rich small molecules for library production is presented. The key steps to generate complexity involve Petasis 3-component reaction followed by an intramolecular Diels-Alder and cyclization to generate a densely enriched tricyclic or tetracyclic scaffolds with 3-4 stereocenters with 3 handles for decoration. The use of an interleukin β antibody is currently being investigated in the clinic for the treatment of acne, a dermatological disorder affecting 650M persons globally. Inhibiting the protease responsible for the cleavage of inactive pro-IL1β into active IL-1β, caspase-1, could be an alternative small molecule approach. This report describes the discovery of uracil 20, a potent (38 nM in THP1 cells assay) caspase-1 inhibitor for the topical treatment of inflammatory acne. The uracil series was designed according to a published caspase-1 pharmacophore model involving a reactive warhead in P1 for covalent reversible inhibition and an aryl moiety in P4 for selectivity against the apoptotic caspases. Reversibility was assessed in an enzymatic dilution assay or by using different substrate concentrations. In addition to classical structure–activity-relationship exploration, topical administration challenges such as phototoxicity, organic and aqueous solubility, chemical stability in solution, and skin metabolic stability are discussed and successfully resolved. The availability of high-quality screening compounds is of paramount importance for the discovery of innovative new medicines. Natural product (NP) frameworks can inspire the design of productive compound libraries. Here, we describe the design and synthesis of four compound libraries based on scaffolds that have broad NP-like features, but that are only distantly related to specific NPs. The optimisation of syntheses of the scaffolds using [5 + 2] cycloaddition chemistry is detailed, together with methods to yield exemplar decorated screening compounds. 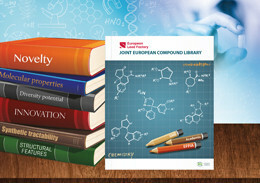 In each case, a library was nominated for production, leading to a total of >2900 screening compounds that augmented the Joint European Compound Library of the European Lead Factory. Contribution from EDELRIS : the invention patented by Bayer Cropscience AG relates to fungicidal active compounds of formula (I), more specifically to benzosultams and analogues thereof, processes and, intermediates for their preparation and use thereof as fungicidal active compound, particularly in the form of fungicide compositions. The present disclosure also relates to methods for the control of phytopathogenic fungi of plants using these compounds or compositions comprising them. Virtual fragmentation of a library of 12,000 compounds inspired by natural products led to a dataset of 153,000 fragments that was used as a source to identify effective P2-P3 scaffold replacement solutions for peptidic Caspase-1 inhibitors. Our strategy led to the identification of an original 2-azabicyclo-octane scaffold (2-ABO) that was further elaborated into the potent Caspase-1 inhibitor CD10847 (IC50 = 17 nM). The crystal structure of Caspase-1 in complex with CD10847 was obtained, and its binding mode was shown to be similar to the one predicted by docking and in good agreement with other known inhibitors. Contribution from Edelris: the invention patented by Merck Serono relates to compounds, and pharmaceutically acceptable compositions thereof, useful as inhibitors of cyclophilins, and for the treatment of cyclophilin-related disorders. Contribution from Edelris: the invention patented by Bayer relates to furane derivatives as inhibitors of ATAD2 and processes for their preparation, their use for the treatment and/or prophylaxis of diseases, and their use for the preparation of pharmaceuticals for the treatment and/or prophylaxis of diseases, in particular for the treatment and/or prophylaxis of cancer. 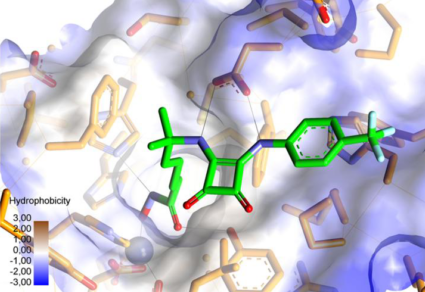 In our hands, access to 2 novel peptidomimetic scaffolds, based on N-alkylated pyrrolidin-2,5-diones and piperidin-2,6-diones (1), proved to be much more challenging than anticipated. In this short communication, we disclose the strategies that we explored and our final route choices to the desired scaffolds with control of both stereocenters. A facile metal-catalyzed diversiﬁcation step for the synthesis of novel bi- and tricyclic scaffolds from enyne substrates is reported in this study. From a single starting material, topologically diverse scaffolds for library synthesis can be generated and decorated in a few steps. The methodology was used to produce a library of 490 compounds within the European Lead Factory (ELF) Consortium. tandem Mannich/Diels–Alder sequence is demonstrated in this studies for the synthesis of an O-bridged octahydro -isoindole core bearing an indole moiety. This scaffold displays a high Fsp 3 value, several chiral centers and a 500-compound library is being produced within the European Lead Factory Consortium. The European Lead Factory (ELF) project is addressing the challenge of generation and maintenance of a competitive compound collection by leveraging the diverse experience and know-how of academic groups and small and medium enterprises (SMEs) engaged in synthetic and/or medicinal chemistry. Here, we describe the novelty, diversity, structural complexity, physicochemical characteristics and overall attractiveness of the first batch of 50.000 ELF compounds for HTS purposes. 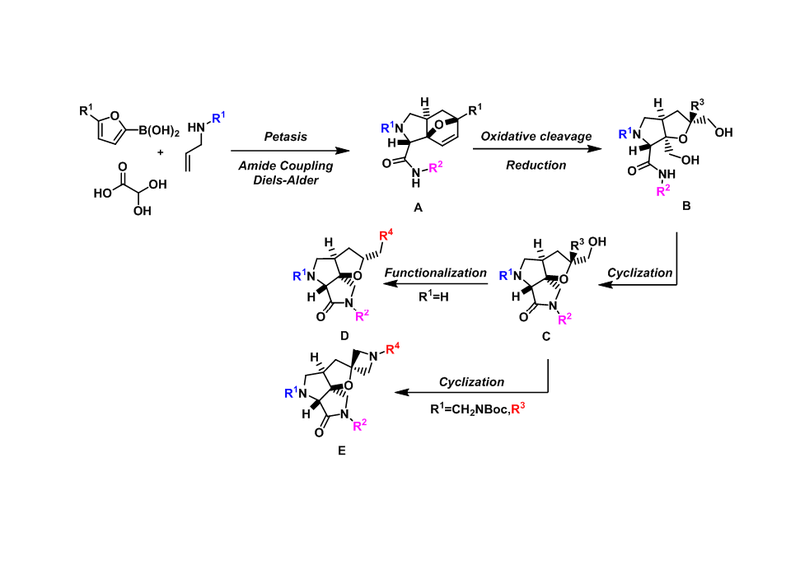 A general and efficient method for the synthesis of drug-like fused bicyclic hydantoins is reported. An Ugi–Joullié reaction/cyclisation sequence was exploited as the key complexity-generating process, which enabled the synthesis of large small molecule libraries, leading to the production of >1000 compounds for addition to the screening collection of the European Lead Factory. The Ritter-type reaction of arylnitriles and N-acyliminium ions generated in situ from dihydroxy-g-lactams gave tetrahydropyrrolo[2,3-d]oxazol-5-ones in excellent yields and with high diastereoselectivity. Subsequent acidic hydrolysis yielded new (arylamido)pyrrolidinones. A combined one-step Ritter–hydrolysis procedure proved to be of equal efficiency. Within the European Lead Factory Consortium, this versatile method was successfully used for the production of a drug-like molecular library (+500 compounds) for biological screening. Hepatitis B is still a major public health problem with more than 350 million people chronically infected worldwide, 20 to 40% of them being at risk of developing chronic liver disease, cirrhosis and hepatocellular carcinoma. Despite the existence of an effective preventive vaccine, the hepatitis B virus infection is still rampant in many countries, even developed ones, with an estimated 4.5 million cases of infection per year worldwide. Edelris and its partners Inserm and Poxel have identified FXR as a therapeutic target for HBV and discovered new compounds leading to a strong inhibition of viral DNA and viral antigen production. Contribution from Edelris: The invention patented by Galapagos NV relates to novel Branimycin derivatives with formula (I) that are useful in the treatment of infectious diseases, in particular those causing significant morbidity in human. These compounds are active against a specific enzyme in the bacterial DNA replicative process. Edelris was more specifically involved in the synthesis, purification and structural characterization of these novel derivatives. This editorial by Pr. 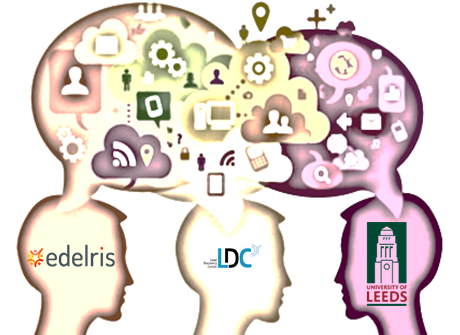 Nelson (Leeds University) and Dr. Roche (Edelris) is dedicated to innovative approaches to the design and synthesis of small molecular libraries. The application of [4+2] cycloadditions between alkenes and an N-benzoyl iminium species, generated in situ under acidic conditions, is described in the synthesis of diverse molecular scaffolds. The key reaction led to the formation of cyclic imidates in good yield and with high regioselectivity. It was demonstrated that the cyclic imidates may be readily converted into 1,3-amino alcohols. Incorporation of orthogonally-reactive functionality, such as aryl and alkyl bromides, into the cycloaddition substrates enabled the synthesis of additional scaffolds. A three component one-pot cascade reaction was developed for the synthesis of 1,4,5-trisubstituted γ-lactams. The resulting scaffold can be modified independently at three positions, two of which are conveniently accessed by changing the components of the one-pot reaction. The phases of building block generation, scaffold synthesis and subsequent appendage modification were adapted to library production, which resulted in a screening library of 500 compounds. The design, synthesis and decoration of six small molecule libraries is described. Each library was inspired by structures embedded in the framework of specific alkaloid natural products. The development of optimised syntheses of the required molecular scaffolds is described, in which reactions including Pd-catalysed aminoarylation and dipolar cycloadditions have been exploited as key steps. 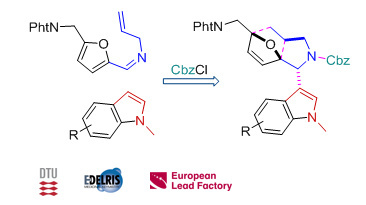 In total, the research has led to the successful synthesis of >2500 novel alkaloid-like compounds for addition to the screening collection (the Joint European Compound Library, JECL) of the European Lead Factory. 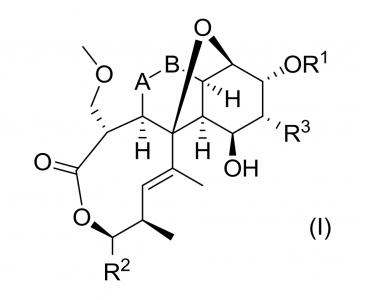 The synthesis of conformationnally restricted peptidomimetics through cyclisation is of interest in the drug development process. The preparation of imide by cyclisation of aspartic or glutamic carboxylic acid side chain with backbone amide is scarcely described (pathway a). Moreover, the C-N bond formation on amino succinimide or aminoglutarimide derivatives has never been reported to our knowledge (pathway b). This poster presented at the BOSS 2014 outlines the different strategies devised and applied to overcome selectivity and epimerisation issues in the synthesis of aminosuccinimide and aminoglutarimide containing peptides. The palladium-catalyzed carboamination of N-protected γ-aminoalkenes with aryl bromides is a powerful reaction to access functionalized pyrrolidines with high levels of diastereoselectivity. The poster presents the synthesis of two pyrrolidine-based libraries, illustrating our process in the development and production phases. Hurdles, solutions and outcomes are discussed. Hepatitis B virus (HBV) genome transcription is highly dependent on liver-enriched, metabolic nuclear receptors (NRs). Among others, NR farnesoid X receptor α (FXRα) enhances HBV core promoter activity and pregenomic RNA synthesis. Interestingly, two food-withdrawal-induced FXRα modulators, peroxisome proliferator-activated receptor-ɣ coactivator 1α (PGC-1α) and deacetylase SIRT1, have been found to be associated with HBV genomes ex vivo. Whereas PGC-1α induction was shown to increase HBV replication, the effect of SIRT1 on HBV transcription remains unknown. Here, we showed that, in hepatocarcinoma- derived Huh-7 cells, combined activation of FXRα by GW4064 and SIRT1 by activator 3 increased HBV core promoter-controlled luciferase expression by 25-fold, compared with a 10-fold increase with GW4064 alone. Simple and efficient access to tetrahydrofurans, tetrahydropyrans, and pyrrolidines through a tandem cross-metathesis/1,4-addition process from (E)-dimethyl 2-oxopent-3-enylphosphonate and N-protected unsaturated amines or alcohols under microwave irradiation is described. As the Grubbs–Hoveyda catalyst is highly chemoselective, a diversity of functionalized heterocycles were synthesized. Furthermore, an additional functionalization can be performed due to the presence of a side chain that possesses a ketophosphonate at the C2 position of the heterocycle. N-Formylsaccharin has been revealed to be an efficient and chemoselective formylating agent of amines.The latter is a solid, is very cheap, easy to handle, stable, it can react under mild reaction conditions with short reaction times (15 min) and purification of the produced N-formamides is not needed. Promising synthetic derivatives of macrolactone natural product (-)-A26771B have been designed and synthesized both from semisynthesis and total synthesis. Further optimization led to the first synthesis of macrolactam analogs of (-)-A26771B with improved antibacterial activity and metabolic stability. Contribution from EDELRIS: The present invention relates to compounds having a [1,5]-diazocin, in particular a 4-oxo-[1,5]-diazocin, type of structure, to compositions and/or medicaments comprising at least one compound of this type, and their use as a constituent in a medicament, in particular for the treatment of diabetes, more particularly of non-insulin dependent diabetes mellitus (type II diabetes), insulin dependent diabetes mellitus (type I diabetes), and/or of hypertension, pre-diabetes, metabolic syndrome and obesity. The introduction of high-throughput synthesis and combinatorial chemistry has precipitated a global decline in the screening of natural products by the pharmaceutical industry. Some companies terminated their natural products program, despite the unproven success of the new technologies. This was a premature decision, as natural products have a long history of providing important medicinal agents. Furthermore, they occupy a complementary region of chemical space compared with the typical synthetic compound library. For these reasons, the interest in natural products has been rekindled. Various approaches have evolved that combine the power of natural products and organic chemistry, ranging from the combinatorial total synthesis of analogues to the exploration of natural product scaffolds and the design of completely unnatural molecules that resemble natural products in their molecular characteristics.